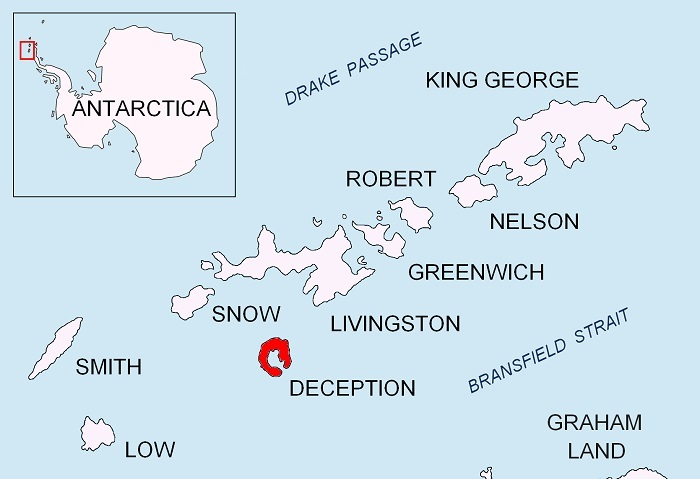 Deception Island is an uniquely shaped island which is part of the South Shetland Islands archipelago located right next to the Antarctic Peninsula, between Antarctica and South America. 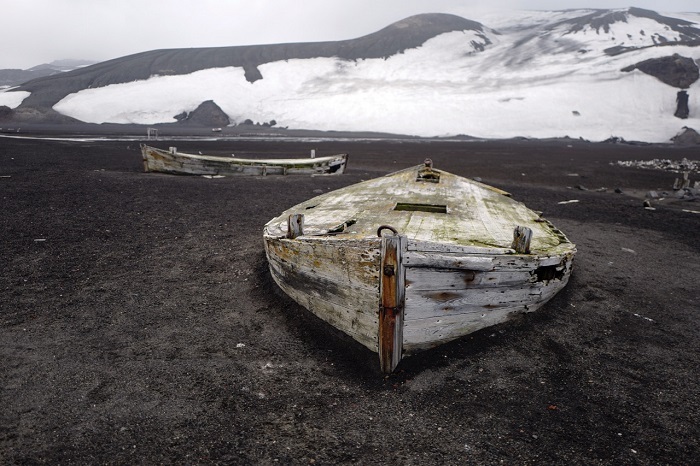 Sitting in a tiny corner of the harshest and coldest region on the planet, Deception Island is created from volcano’s caldera, where the volcano is still active, but erupted several times since its discovery. 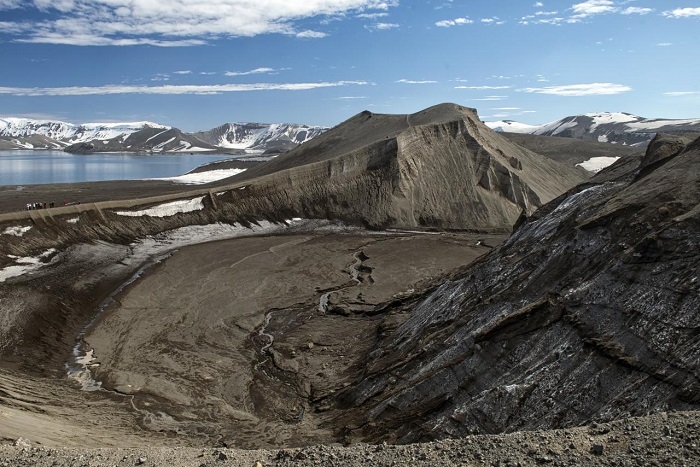 Having the unique shape of a horseshoe, it is believed that the island came to its existence some 10,000 years ago with the explosive eruption that scattered more than 30 square km (12 square mi) of molten rock. 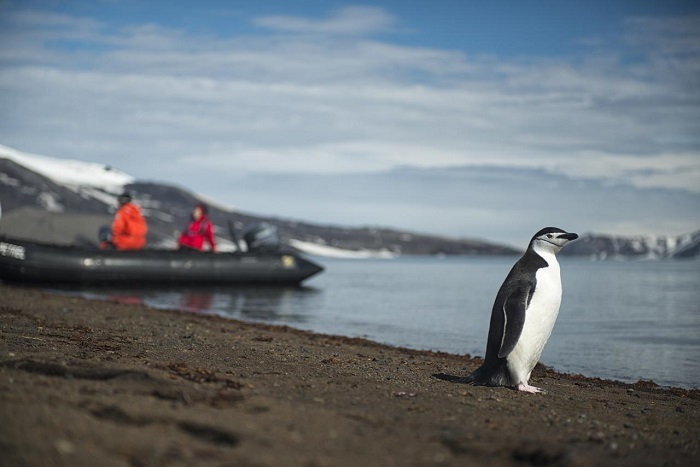 With the eruption, nowadays we are able to enjoy in the well protected from the strong sea currents, Port Foster Bay, which is considered to be among the safest harbors in Antarctica. In addition, the bay is divided furthermore in smaller bays, so that the people there could navigate little better. 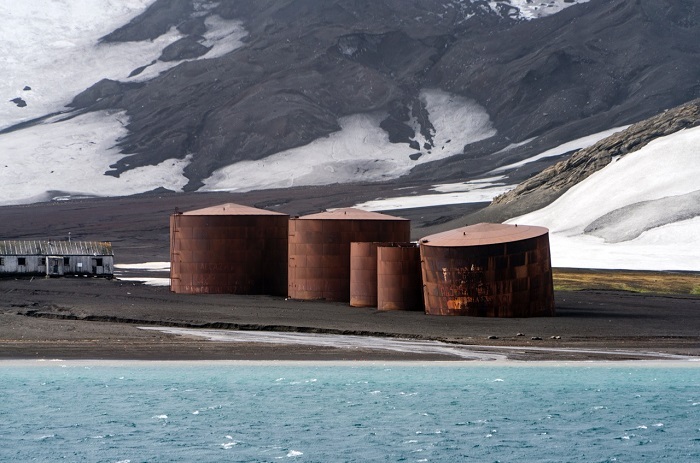 Those smaller bays are: Whalers’ Bay, Pendulum Cove, Telefon Bay, Fumarole Bay, all of them reachable from the main sea through the Neptune’s Bellows. 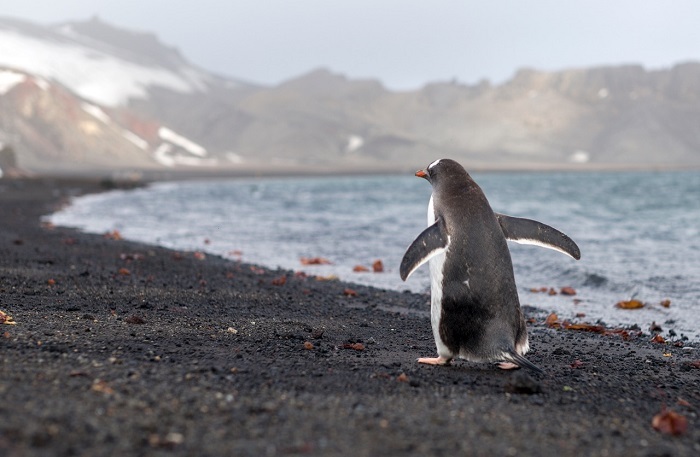 The highest point on the island is on the eastern side, where Mount Pond is measured to be 539 meters (1,768 feet) high, and Mount Pond North Top being the second highest one with 516 meters (1,693 feet) above the sea. 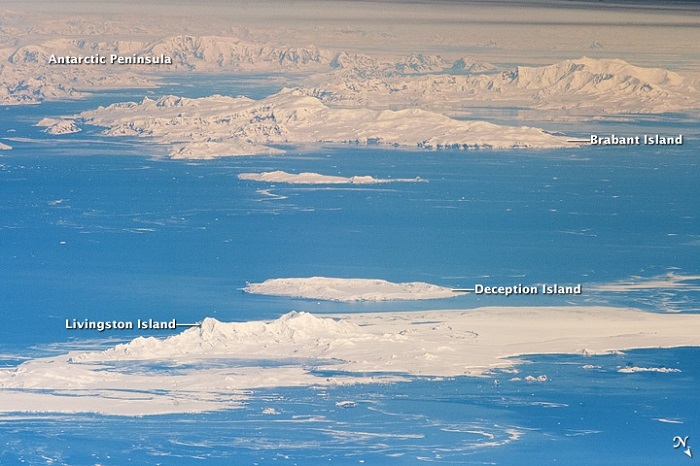 Deception Island was seen for the first time in January 1820 by the British sealers William Smith and Edward Bransfield, who saw it and marked it with their vessel. 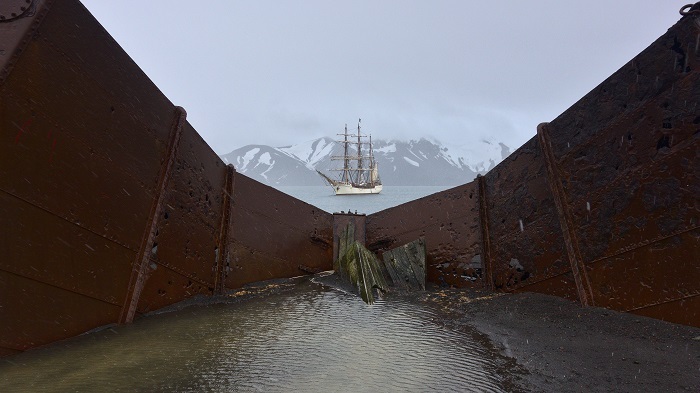 The first human to ever set foot on the island was the American sealer Nathaniel Palmer on the sloop Hero, who on 15 November 1820 remained for two days while exploring the beautiful enclosed bay. The name was given also by Palmer, since he was tricked into believing that the island is a simple one, on account of its outward deceptive appearance, but as soon as he discovered the narrow entrance, he was immediately impressed by the island. 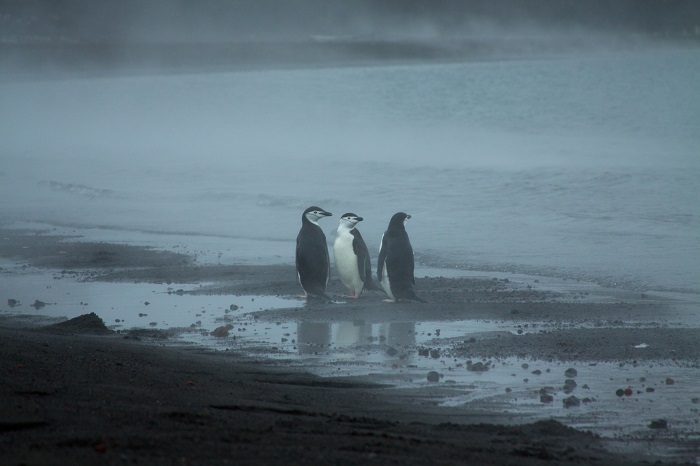 Even though nowadays the island together with the South Shetland Islands group are claimed by various countries, mainly Chile, Argentina and the United Kingdom, they are fortunately administered under the Antarctic Treaty System. 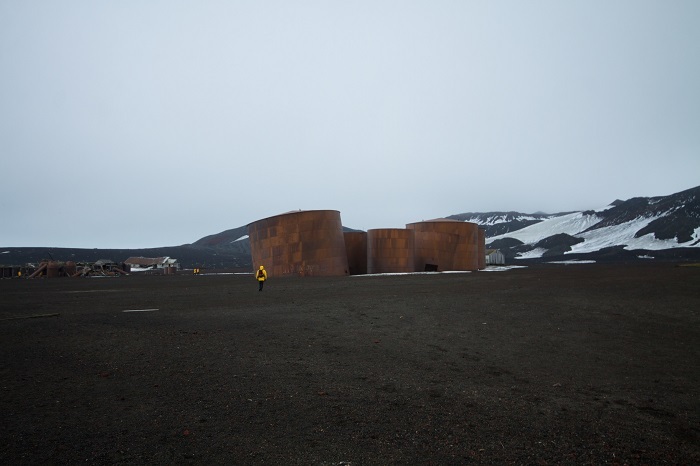 All of them have or had observatories on the island with the purpose of monitoring the volcanic activity, and so far only the Spanish and Argentinian observatories exist. 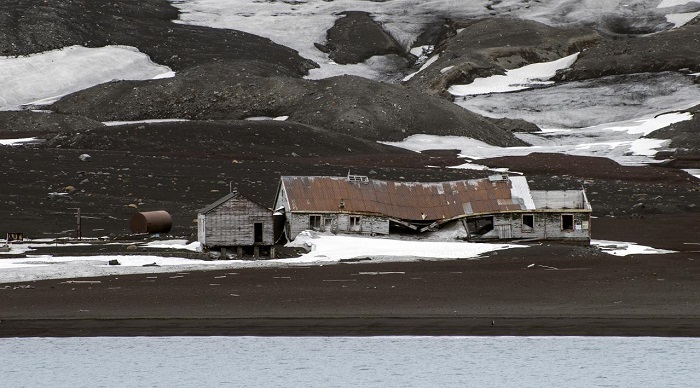 Remarkable failures by those observatories were the volcanic eruptions of 1967 and 1969. 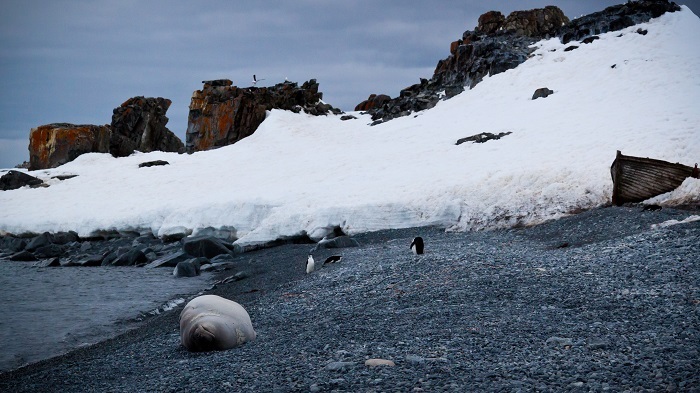 With the infamous history of seal and whale hunting group activities which were based on Deception Island, today there are still some species that still exist, despite the bleak and inhospitable environment. 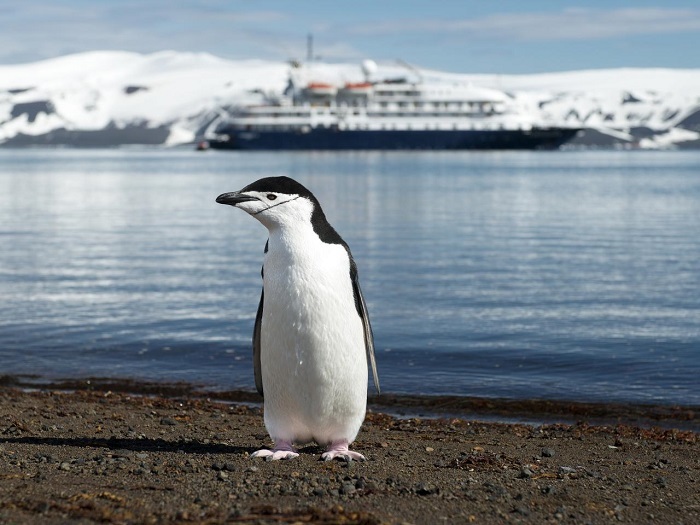 The most common from the fauna is the chinstrap penguin that can be counted to around 100,000 breeding pairs, considered to be the largest group in the Antarctic Peninsula and possibly one of the largest in the world. 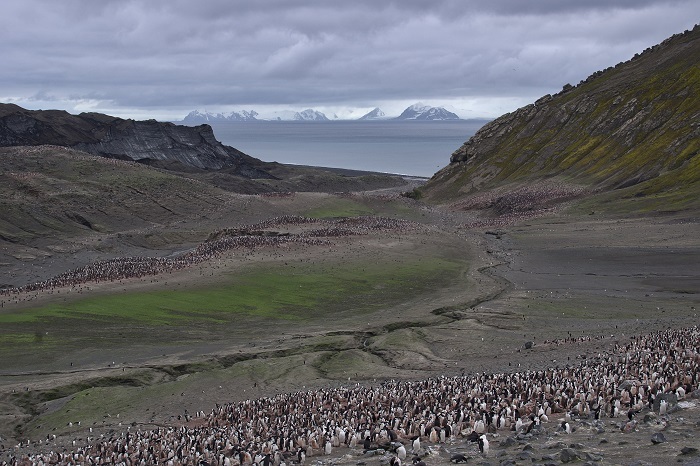 Still, there are 8 seabirds that nest on the island. 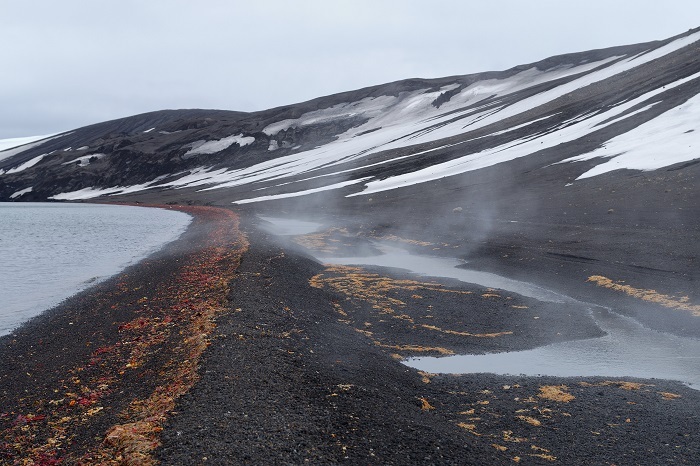 With the ongoing volcano activity, there have been recorded 18 species of moss and lichens, which miraculously have not been seen elsewhere in Antarctica. 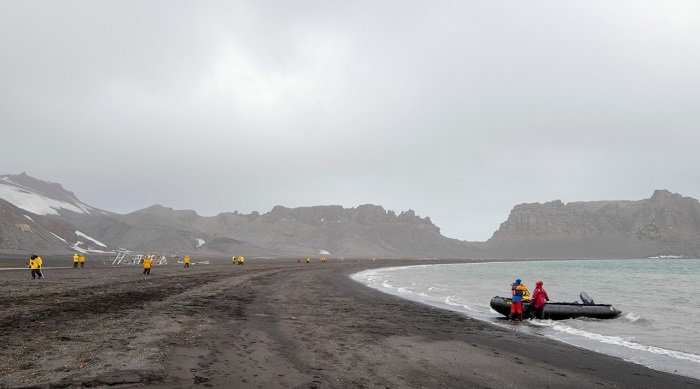 With features such as black sand beaches which are geothermally heated, the island is considered to be a somewhat giant hot tub, especially at low tides when people can create their own hot pools. 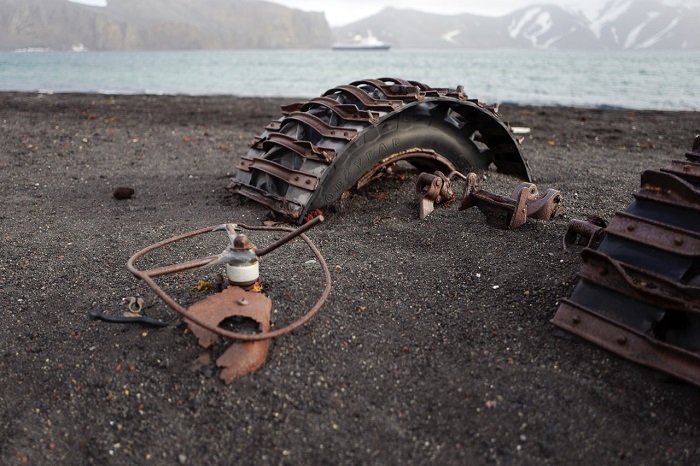 All in all, a perfect place for relaxation in an extreme weather conditions, Deception Island is a place not just for the scientists coming to do some exploration, but also it can attract adventurous enthusiasts who are willing to endure very low temperatures in order to experience the magnificent and hard-to-reach Antarctica.